There is natural tendency between Texas and Mexico in wanting to form a free-trade partnership that benefits both sides. During his first years as President, W. Bush visited conservative President Vicente Fox of Mexico in early 2001. Similarly, in 2007 Rick Perry wanted to build NAFTA Super highway, a transnational Super Highway corridor the connect Texas to Mexico and Canada. Thus, Texas has always wanted to be trade-partners with Mexico. So the current news is that Mexico is now planning to open its oil reserves to foreign investment. And this will give Texans another shot at forming a regional partnership to utilize natural resources in North America, where oil and natural resources could reach $7 trillion in the first two decades. 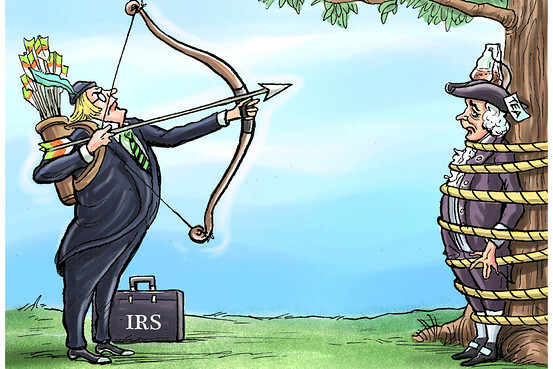 And maybe this time, this big project will not be derailed by activists and TV personalities who fear of immigration since this new free-trades are need to pay for unfunded liabilities created by Entitlements. NAFTA is not the only trading link between Mexico and Texas. Both Texas and Mexico have rich undeveloped natural resources that could help to liberate the U.S. from its dependency on oil with the Middle East. For example, most economists agrees that is time for Mexico, the US, and Canada to form a tri-national partnership to tap into natural energy (oil and natural gas) reserve in North America that could create a $7 trillion trade zone. For example, a report by the conservative public policy Manhattan Institute underscores that there is an economic corridor developing from Texas to Montana based on development of manufacturing and natural resources and with low taxation for companies. And Texas sits in middle of this productive corridor. that America’s own strategy for economic revival cannot be limited to the nation’s borders. And its future foreign policy—its projection of power and principle—must be grounded in the emerging economic order. 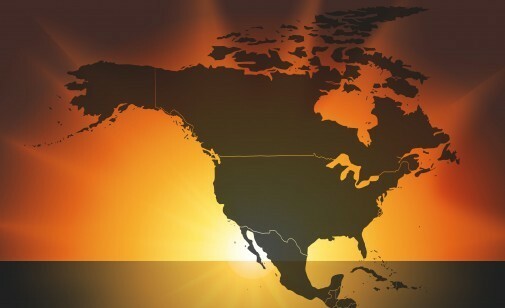 The new U.S. international economic strategy should have… should strengthen its continental base by building on the North American Free Trade Agreement with Canada and Mexico. So Texas alone cannot supply the required oil and natural gas to fuel the US economy or the independence from the Middle East. Hence, the need for a partnership between the three nations of North American with Texas leading the way. Attempting to control the energy sector from Washington, the President should learn from hydraulic fracturing and trust private-sector investment and innovation and consumer choice to drive American energy policy. An energy policy that allows the private sector to meet America’s energy needs will provide Americans with the most secure fuel choices at the lowest prices. The energy marketplace will work if the President and the Administration will just allow it. Texas will continue to lead on natural energy since Production from the Eagle Ford shale in Texas increased more than 60 percent in December when compared to last year. The Eagle Ford Shale is still in its early stages, with landmen continuing to hunt for mineral rights across South Texas and no one really knowing how much oil is out there. And just two week ago a report by Texas Commission show that shale formations in South and West Texas appear awash again in oil and gas. 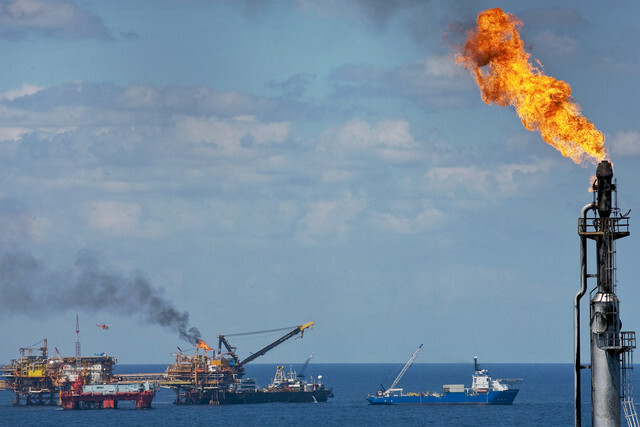 Therefore Texas oil companies in Houston now are looking into how to keep Texas open for exploration and the work with Mexico to untapped their oil reserves with more advance machinery to develop long-term partnership. 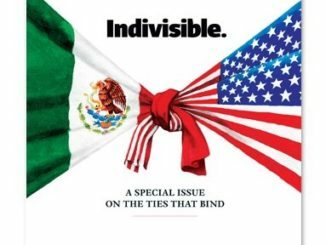 Trade partnerships between Mexico and Texas –or Mexico and the US- have always been present under a Republican administration but have been derailed by Party activists and misconception about immigration. Gov. Rick Perry, for example, has been one of chief promoters of a regional partnership between Northern Mexico and Texas. Remember the NAFTA Superhighway project? It was to consist of wide highways and a $184 billion transit system of toll roads, rail lines and utilities from the Texas-Mexico border all the way up to the Minnesota-Canadian border, to make it easier to ship foreign goods. However, this plan was overturn by party activists—and private property owners. The opposition by political activists was so strong that the Texas Republican Party’s 2010 platform includes a plank specifically opposing the Trans-Texas Corridor. Opposition is not displayed against the Kingston Pipe line. At federal level, there has always been a Texas-Mexico symbiotic appeal to build trade partnerships. For instances, President George W. Bush, being from Texas, in his first official trip abroad went to Mexico to promote the Guanajuato Proposal: Mexico and the United States focusing on resolving mutual pressing problems. 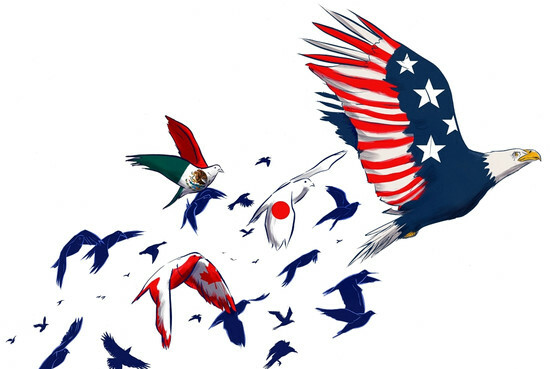 The Fox – Bush Summit in Guanajuato, Mexico promised a new era for the United States, Mexico. On September 7th 2001, 4 days before 9/11, Vicente Fox spoke before a joint session of Congress about this new Fox-Bush plan. But, after the 9/11 terrorist attacks, this new vision of regional integration was truncated. Even after 911, Bush did not abandon trade policies with Mexico—even if his Party took s harsh position against Mexican immigrants. The Security and Prosperity Partnership of North America (SPP) was initiated in the SSP on March, 2005, with all conservative leaders of Canada and Mexico to discuss multi-lateral issues including trade and economic collaboration. It there is any doubt that the SPP was a conservative initiative, be aware that it was drafted by Sen. Ted Cruz and his wife Heidi Cruz when they worked for Bush. There is a tendency by Republican elected officials to want to build long-term strategic partnership between Texas and Mexico. But these efforts have been truncated by party activists who fear too much “Latinization” of the Southwest. They fail to recognize the benefits of a trade partnership with Mexico that Rick Perry and W. Bush envisioned. As a result, if Mexico is now willing to open its natural resources to American oil companies, and the US follows the recommendations by Manhattan Institute and the Heritage Foundation, Texas stands at doubling its trade with Mexico since $325 billion cross the Texas-Mexico border each year; an affirmative policy to expand extraction and export capabilities for all hydrocarbons over the next two decades could yield as much as $7 trillion of value to the North American economy. This can easily increase and double Texas’s trade with Mexico by about $400 billion annually since 60% of NAFTA trade comes through Texas. 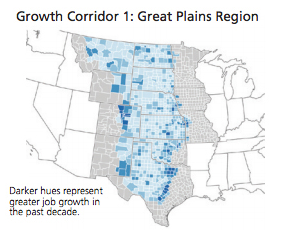 Also, Texas is in the middle of an Economic Corridor base on manufacturing and natural resources boom. More important, the Texas Republican Party Platform of 2012 is very different from that of 2010. The GOP Party Platform incorporated an immigration stance that makes it easier for Texas to ask for an amicable immigration policy with Mexico. Additionally, a $7 trillion strategy with Mexico and Canada for natural energy can help in paying for the 80 trillion of unfunded liabilities created by Medicare and Social Security for boomers, who are a large base of the GOP in Texas. Consequently, a new partnership with Mexico will benefit Texas businesses and Texans more than any other state. The formation of this economic friendship based on natural resources, serves to better both nations in the years to come. Mexico’s Energy Breakthrough: The country bids adios to 75 years of oil nationalism. Alex Gonzalez is a political Analyst and Political Director for Latinos Ready To Vote! He received a Bachelors Degree and a Masters’ Degree, with emphasis in American politics, from San Francisco State University.